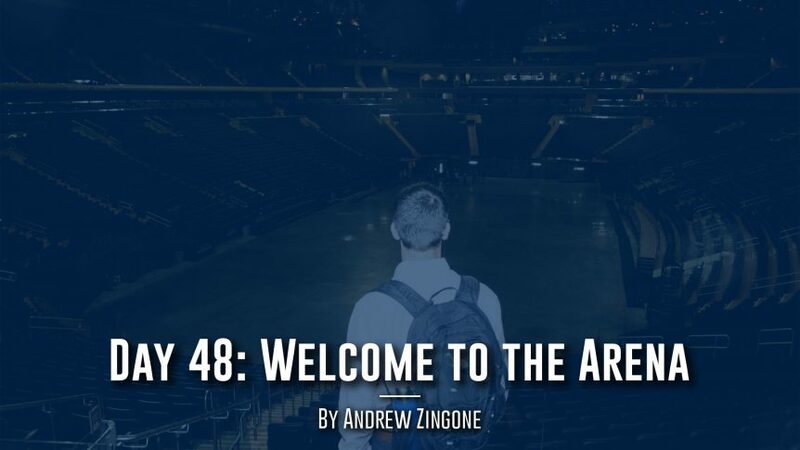 As we walked around Madison Square Garden during our seventh and final Friday Office Field Trip, I couldn’t help but draw comparisons between “The World’s Most Famous Arena” and the arena that we, 27 soon-to-be MSBA graduates, will soon find ourselves in. Like coins, each of these great achievements have a flip side. For every success there is a failure. The Rangers’ incredible win brought another painful end to the Capitals season and fed critics’ theories of Ovechkin and company not having what it takes to win in the playoffs. With Frazier’s triumph over Ali, the great Muhammad Ali suffered the first loss in his career. However, like the greats before and after them, these losses fueled these athletes’ respective internal fires. Muhammad Ali finished his career with the nickname “The Greatest”, while Ovechkin went on to hoist the coveted Stanley Cup. Breaking into the world of sports business is not easy; on the contrary, it is damn near impossible. For every success story, there are thousands of people who dream of a career in the sports world but choose a safer, less stressful path. However, whether you are aware of it or not, by joining MSBA you have entered the arena. As Teddy Roosevelt so elegantly put, by entering the arena you have accepted the challenge of pursing something great, and, likewise, you have not only accepted the success that will come, but also the failures that will knock you down. The non-MSBA members who are reading this post may not fully understand the work that goes into being a participant in this program. A basic day consists of very little down time and demands the very best out of every member of the program. In my last blog post, I talked about how each member of this year’s class has taught me something different and brings something unique to the table. Now, I want to mention the common thread that connects us all. This commonality is a desire that comes from within each and every one of us – a desire that burns to succeed in this industry. This flame is contagious and only grows stronger as this group of men and women have become a family. I have learned many things this summer, but the biggest lesson was that, in order to succeed in the sports industry, one must enter the arena and forget about the critics. There will always be a reason to give up, but my classmates, my newfound family, have taught me the importance of holding onto the dream of success and giving it your all. This group epitomizes Teddy’s “Man in the Arena”. I cannot wait to see what failures and successes lay before this group of professionals as they continue their battle in the arena. To all my MSBA classmates: thank you for a great summer and thank you for reminding me that this dream is worth fighting for.